전체적으로 8각의 평면을 기본으로 삼아 각 부분을 이루고 있으며, 3단으로 이루어진 기단(基壇) 위에 탑신(塔身)을 올리고 지붕돌을 얹은 형태이다. 네모진 바닥돌 위에 올려진 기단은 아래·가운데·윗받침돌로 나뉘어지는데, 아래받침돌 옆면에는 사자를 새겨 놓았고, 윗면에는 구름을 입체적으로 조각하였다. 낮은 가운데받침돌은 모서리를 죽이고 각 면마다 악기를 연주하는 모습을 새겼다. 윗받침돌은 가운데 띠를 돌리고 아래·윗면에 소박하면서도 큼직한 연꽃을 조각하였다. 사리를 모셔놓은 탑신(塔身)은 낮은 편이며, 모서리에는 기둥 모양을 새기고 앞·뒷면에는 자물쇠가 달린 문짝 모양을, 나머지 면에는 사천왕상(四天王像)과 보살상(菩薩像)을 조각하였다. 넓은 지붕돌은 밑면에 향로와 비천상(飛天像)을 아름답게 새겼으며, 처마부분은 목조건축의 지붕양식을 따라 2중의 서까래를 촘촘히 본뜬 조각이 있다. 윗면에는 연꽃이 둘러져 있으며 그 위의 4면에는 불교의 낙원에 산다는 새인 가릉빈가(迦陵頻伽)를 조각한 노반(露盤:머리장식받침)이 올려져 있다. 이 승탑은 지붕돌 일부가 깨지고 온전한 상태로 남아 있지는 않지만, 위아래의 비례가 잘 맞아 아름다운 작품이다. 각 부분의 조각이 웅장하고 뛰어나며, 고려시대의 특징이 잘 나타나고 있다. 대구의 일본인 사택에 있던 것을 경북대학교 박물관으로 옮긴 것으로, 원래 승탑이 세워진 터와 이 승탑의 주인공은 알 수 없는 상태이다. 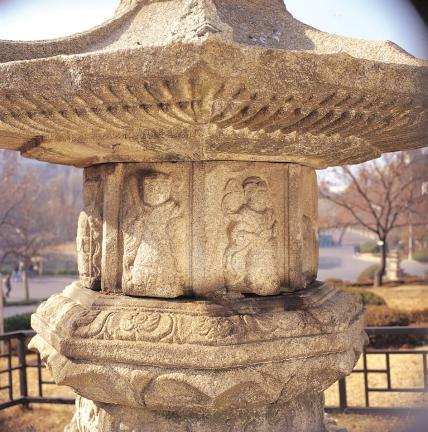 Lions and clouds are sculpted on the octagonal base stone. 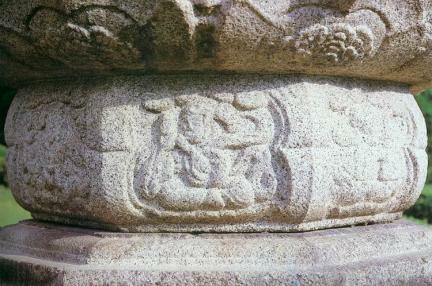 A heavenly figure playing a musical instrument is inscribed on each side of the middle part of the foundation. 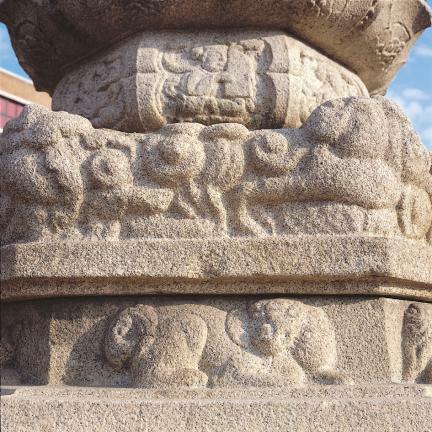 The main body of the stupa where the reliquary sits is decorated with the images of the Four Guardian Kings and Bodhisattvas as well as carved doors with locks. 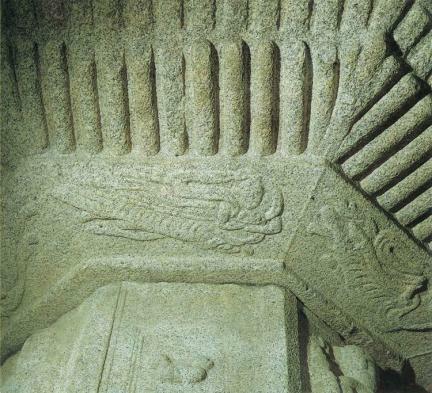 Two-fold rafter-shaped design is carved on the corners of eaves along with the flying heavenly beings. 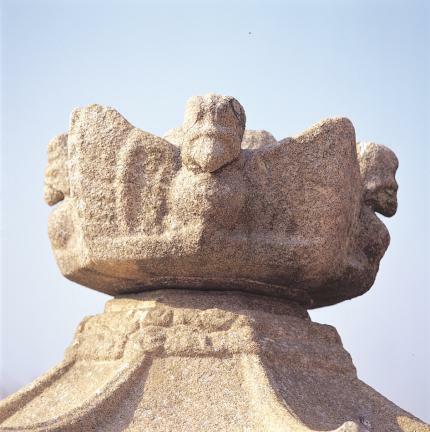 Kalavinka, the imaginary creature mentioned in the Buddhist scriptures, sits on the four sides of the top. 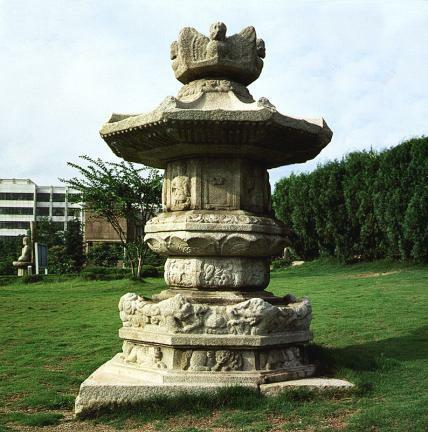 Even though this structure is not in perfect condition, its balance, proportion and the carved decorations are still a piece of art. 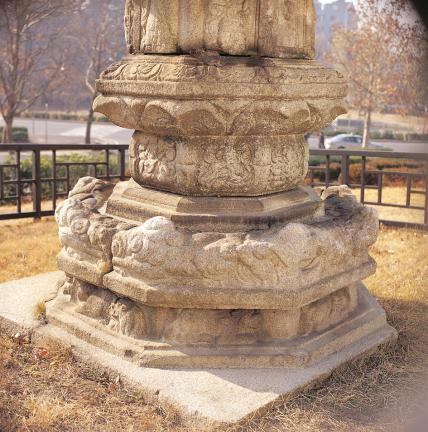 It is not known where nor for whom this stupa was built but it is believed to date from the time of the Goryeo Dynasty. 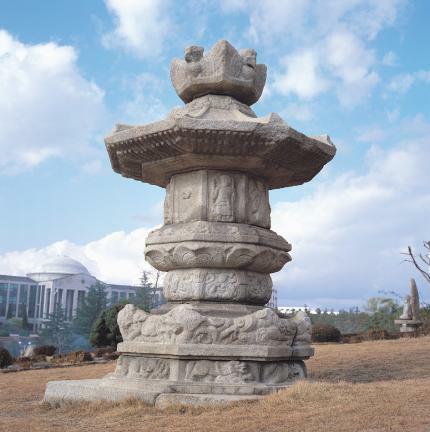 It was moved to Kyungpook National University Museum from a private house in Daegu.